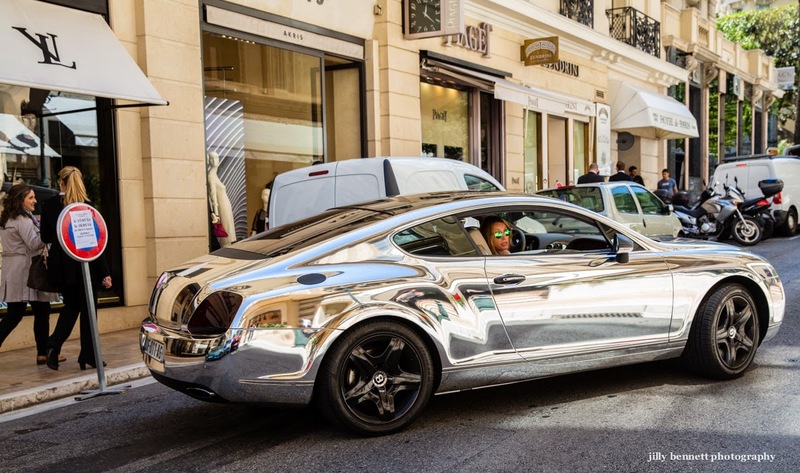 Monte Carlo Weekly Photo: Bentley Bling! Is that a reflection of you just to the right of the rear wheel arch? Wow! It must be a blinding sight on a bright sunny day. That has to be a ridiculous custom paint job, as it's definitely not standard! Gerald, it could be. Can't tell - too small - but presumably there would be a reflection of the photographer with all those curves and angles - no me, the car! I've been watching these as they come up on Facebook. This is utterly immoral self-indulgence with great panache and style. I think the bodywork would shatter with just the slightest scratch.